Smartphones powered by quad-core processors are most likely going to be the thing to have this year, with HTC, Samsung, Fujitsu and others all linked to such devices. 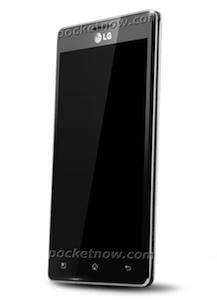 LG has now been added to the list following a leak of the X3, which is said to use Nvidia’s Tegra 3 chip. Despite the slightly uninspiring rendered image of the X3 published by PocketNow.com – it is, after all, yet another monolithic slab – the rumored feature list is considerably more exciting. In addition to the Tegra 3, the X3’s screen will measure 4.7-inches and have a resolution of 1280 x 720, plus there will be an 8-megapixel camera on the rear and a 1.3 megapixel video-call camera on the front, Bluetooth 4.0, 16GB of internal memory and NFC. Google Android Ice Cream Sandwich will be installed at launch, and a mighty 2000mAh battery will be on hand to keep that massive screen and serious processor running for as long as possible. Although such a battery could have affected the device’s size, the rumor still puts its depth at just 9mm. With Mobile World Congress fast approaching, the X3 could be one of the stars of the show, however not everyone thinks smartphones need a quad-core processor. If it hasn’t already, the processor and its clock speed looks set to become the new “megapixel race” of the smartphone market. While screen size has a logical tip-over point to where the device becomes simply too large to be called a phone, a processor’s speed has no such limit, just like the amount of megapixels on the camera. Note the 8-megapixel camera on the X3, the same as the year-old Samsung Galaxy S II and many other devices, yet the screen and the processor are far more cutting-edge. While Mr. Elop may not think quad-core chips are necessary, other manufacturers clearly see them as this year’s major selling point.